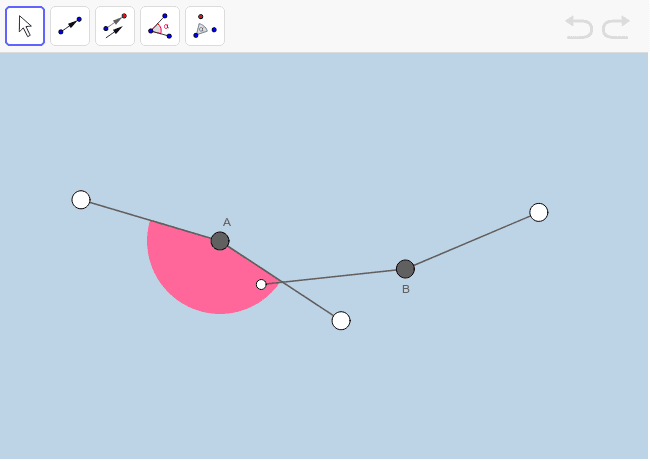 ﻿In the applet below, use the provided transformational geometry tools within the limited toolbar to prove that angle A IS CONGRUENT TO angle B. Remember: Using the Angle tool to simply find display the measures of angle A and angle B IS NOT how we prove these 2 angles are congruent. (The fact that congruent angles have equal measures is the EFFECT of these angles being congruent, NOT the CAUSE.) If you don't recall what it means for angles to be considered congruent, click here for a refresher.